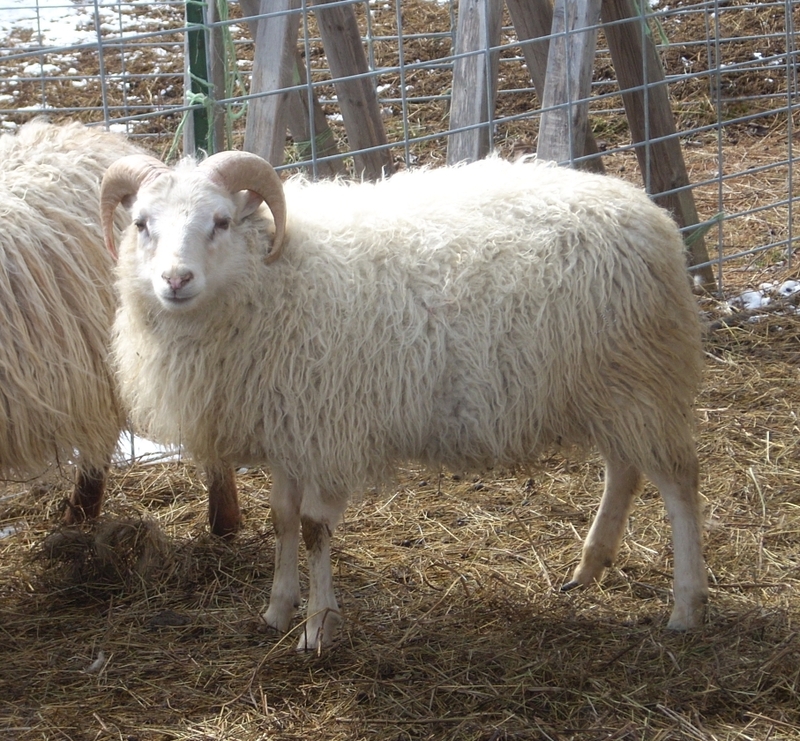 Please let us know if you are interested in any of the rams for sale below. 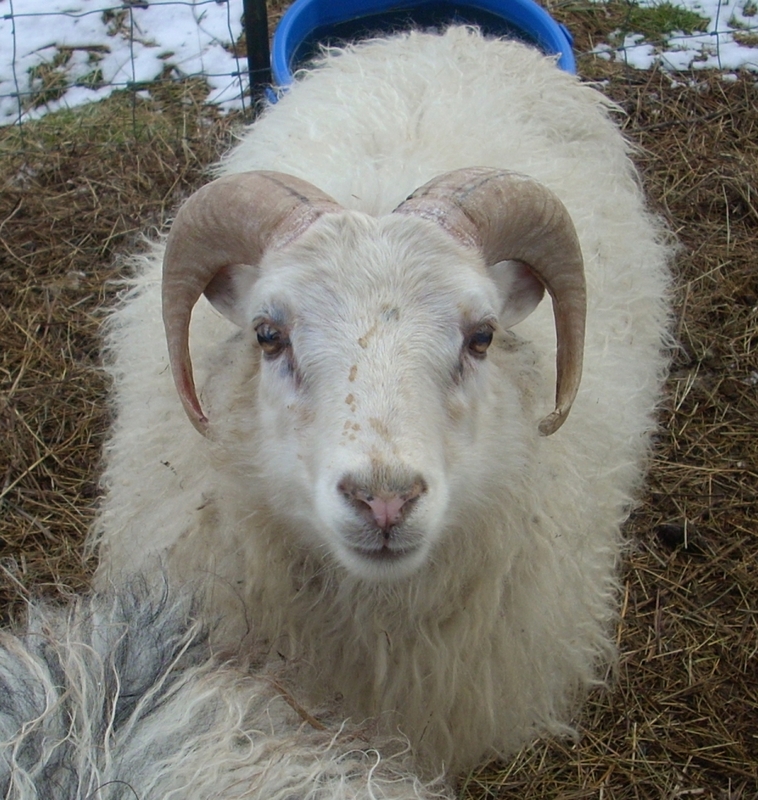 Calm, friendly and approachable, with lovely soft buttery fleece, and nice wide sweeping horns that easily clear his face. Conformation is good with broad shoulders, long body, and a good rear end. 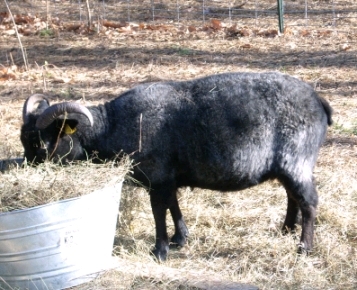 Mirraboy would make an excellent ram for a first-time shepherd as he is so calm and non-aggressive. 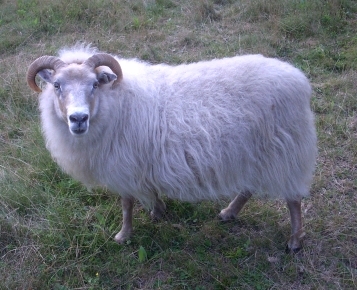 We have used him for a few years now, so it is time to share his qualities with another flock. Our newest addition! 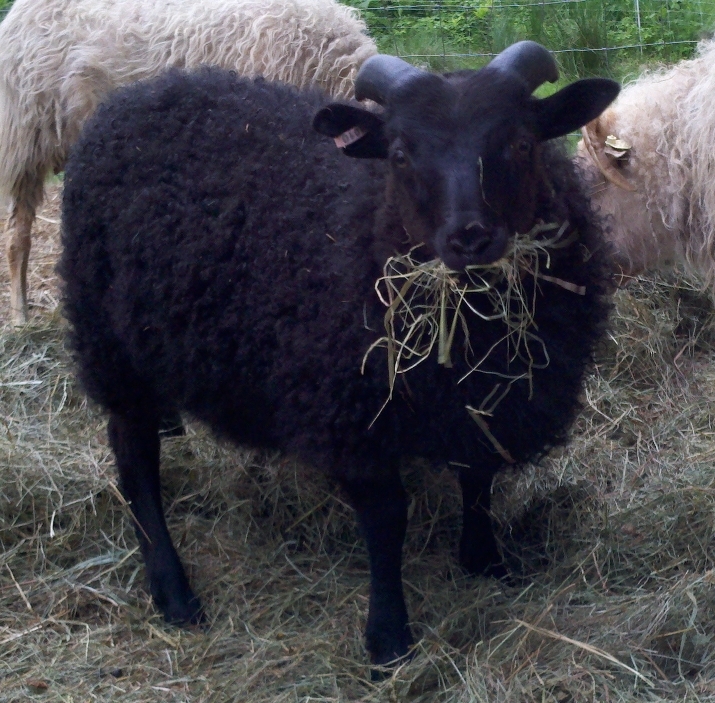 From Dancing Lamb Farm, he is a moorit grey ram lamb with superior fleece and excellent conformation. Has a respectful but calm temperament. We look forward to seeing the lambs he produces! Growing very well, and so far his horns are looking good. He has a nice temperament, which is not a surprise as his sire has a wonderful mellow temperament. 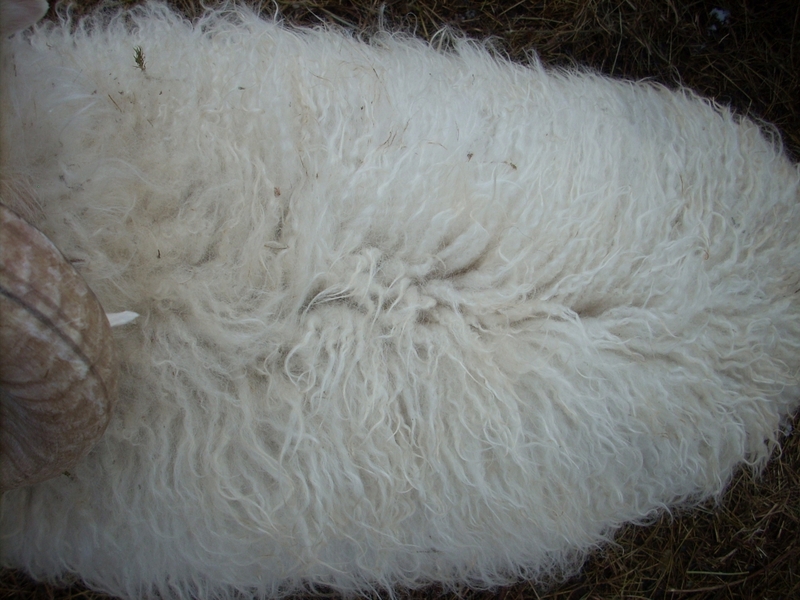 He has good conformation, and his dam is one of our best ewes - good mother, good milky ewe, excellent conformation, and a nice temperament and fleece. A very nice ram here with lots of potential. 50% AI with a nice mix of lines. 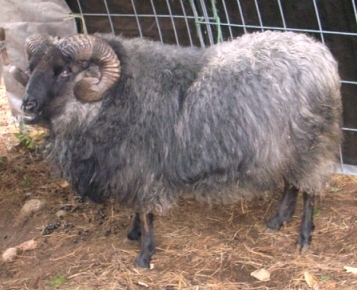 He is from one of our best ewes. 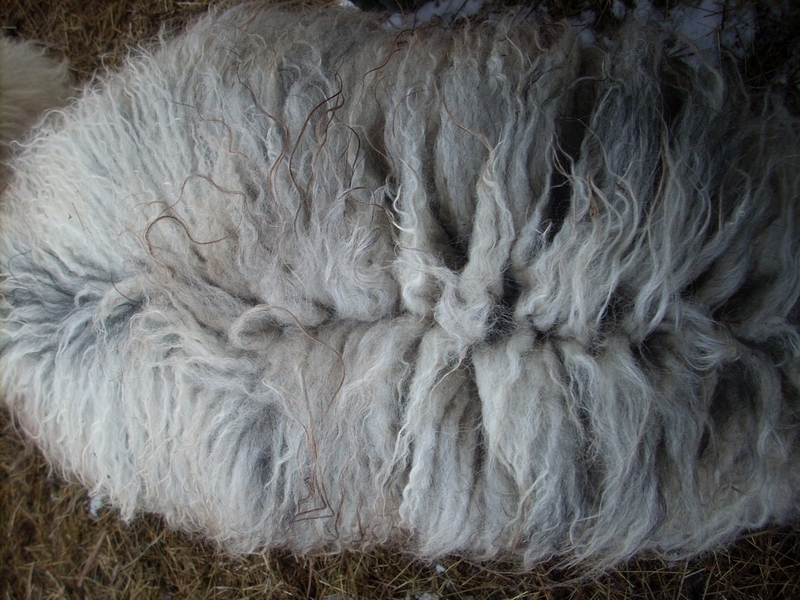 Has absolutely lovely very dense fleece, taking after his sire (sire, even at 3.5 years old, has really lovely buttery spiral locks), and is showing very good conformation with a promise of good shoulders and a wide rear. Great temperament, super calm and friendly. We are keeping his dam and full sister, so he is available! 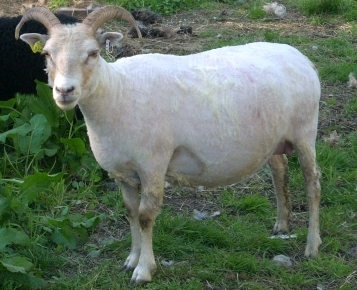 Fast growing and our biggest lamb, he's showing his mother's nice wide chest and excellent shoulders, and also a nice straight topline. This is what we were hoping for. We used him as a teaser this year to detect heat in the ewes we were AI breeding, and he learned to walk on a halter very quickly (he walks better than a couple of our dogs!). He has a very good temperament, calm and respectful. 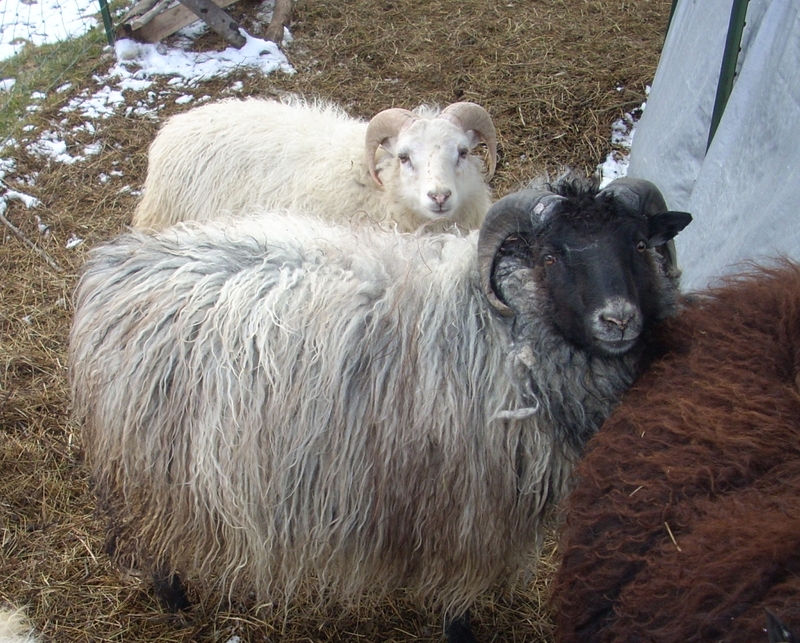 Calm but wary, very good conformation and thick fleece. 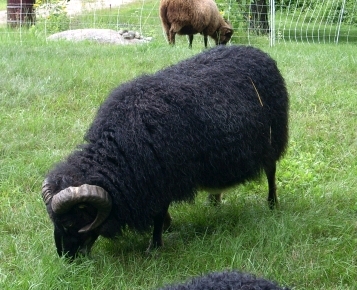 A broad and powerful ram. 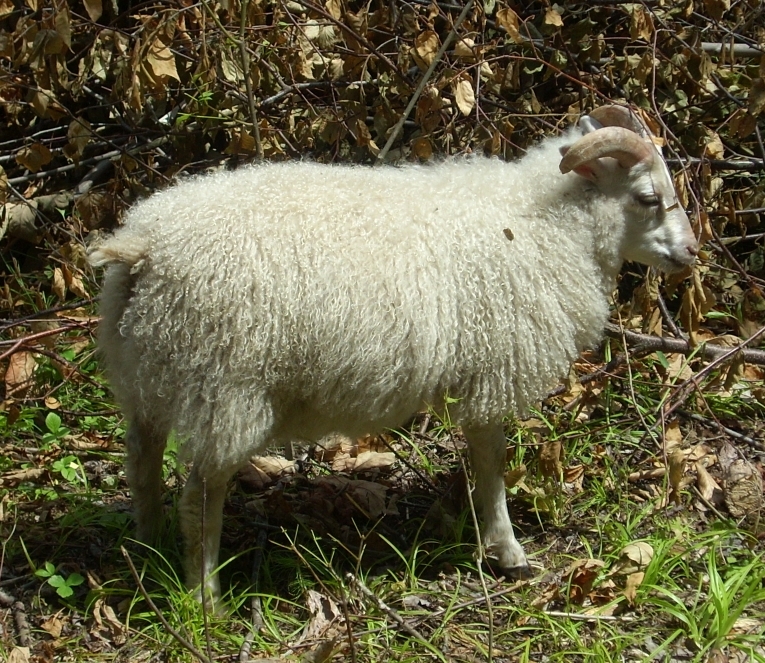 Very friendly and calm disposition; almost more like a dog than a sheep. Loved having his chin scratched.